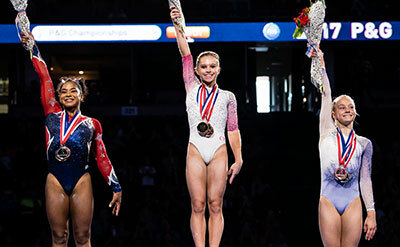 ANAHEIM, Calif. – Ragan Smith forced her way squarely into the must-follow narrative that is United States women’s gymnastics with a dominating performance at the P&G Gymnastics Championships. Smith became the first new women’s all-around national champion since 2012 when she posted a two-day all-around score of 115.250. Jordan Chiles (111.850) was second, while Riley McCuskey (111.650) was third. Trinity Thomas (111.350) finished fourth, and Margzetta Frazier (110.900) was fifth. Simone Biles was the four-time defending national champion, but she had been on hiatus this year after helping Team USA to a team gold medal at the Olympics Games in Rio last summer. In addition, Biles won all-around, vault and floor exercise gold medals in Rio and earned a bronze in balance beam. And this weekend, Biles and her “Final Five” teammates – Aly Raisman, Laurie Hernandez, Madison Kocian and Gabby Douglas – all were inducted into the sport’s hall of fame. 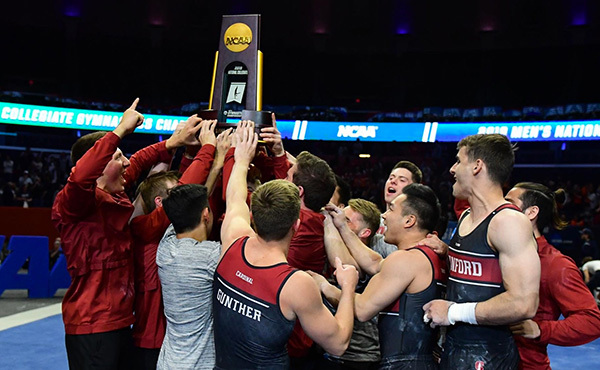 With none of the five competing in the national championships, it was time for a fresh face to step forward and Smith arrived with confidence. In her first event Sunday, Smith essentially clinched gold in the floor exercise, as she was on point with an energetic crowd-pleasing effort. The Texas native’s 14.350 floor exercise score Sunday was better than her opening day score of 14.200, and that number had led the entire field. She also won gold in the balance beam with a two-day total of 29.550. Smith’s 14.350 on vault Sunday, her 14.100 on the uneven bars and her lofty 15.050 on beam gave her a one-day all-around score of greater than 57 for the second time in the meet. It was 57.850 to be exact. 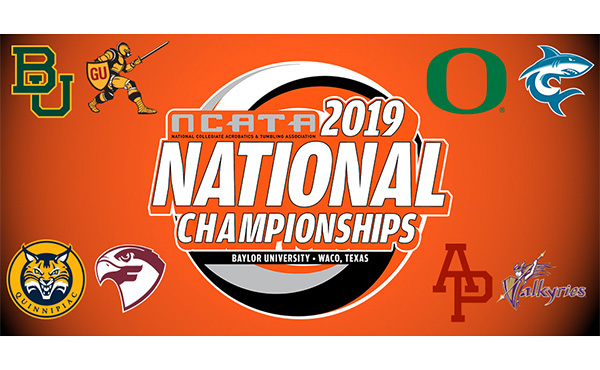 Before the national championships, there had been just one all-around score of 57-plus at the international level. There were five at these P&G Gymnastics Championships alone. It was exactly four years ago at the national championships when Biles emerged with an impressive performance that launched her toward superstardom. 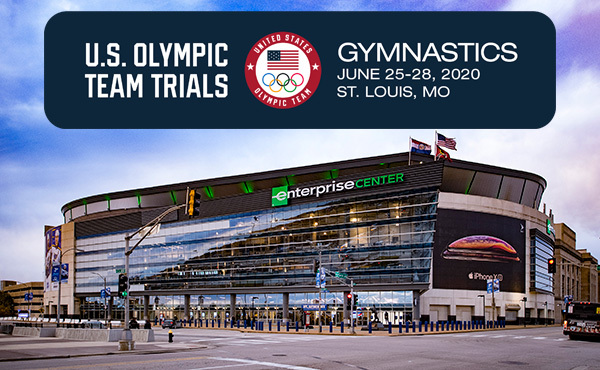 Like Biles had in 2013, when she won her first national title, Smith has three years to get ready for the next Olympics, which will take place in 2020 at Tokyo. 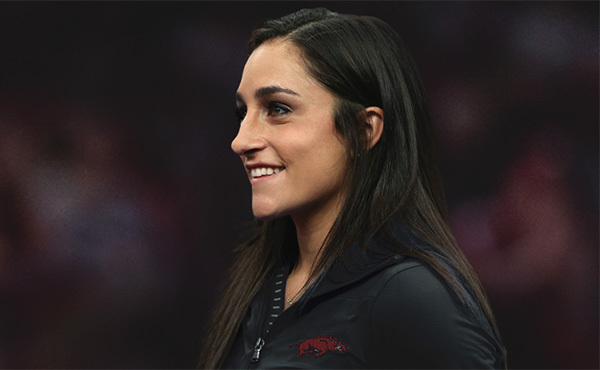 With the 2016 United States women’s team in the building Sunday, so they could be announced to the crowd, Smith said she had a quick moment to see the five gymnasts who made so many waves last year. Smith nearly finished three-and-a-half points clear of the field, but the victory might not have been so dominating under different circumstances. Chiles finished second despite competing with a fever on the first day of competition. And she still managed to pull off an Amanar on vault that day for a score of 15.150 that was the largest single-event score in the competition. But Smith posted her own 15 on Sunday, recording 15.050 on beam. Achieved on her fourth event of the day, and eighth of the competition, it was then that Smith finally allowed herself to enjoy the moment. Jade Carey won gold in vault and McCusker won gold on the uneven bars. 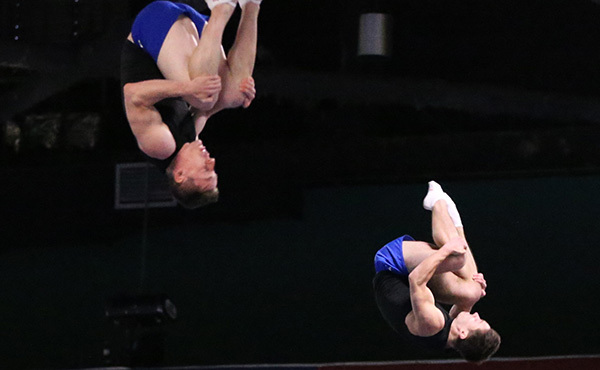 McCusker was in second place in all-around at the start of the competition Sunday, but was passed by Chiles on the final event of the competition. Yet McCusker was far from downtrodden after being cleared to participate this week only two weeks before the competition began. 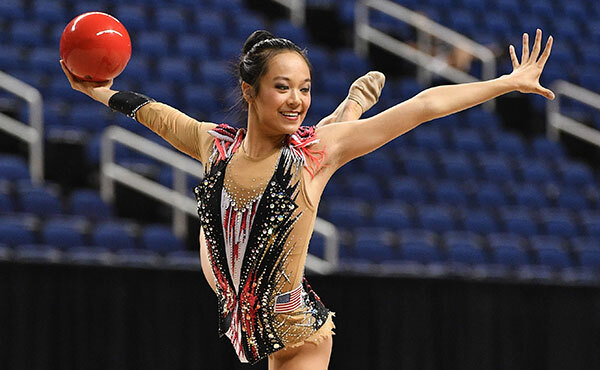 She had been dealing with both ankle and wrist issues and had limited time to perfect her routines before the national championships. There was just no catching Smith, who was exuding confidence after day one, saying that she felt she could do even better despite leading the field. She was indeed .450 points better in all-around scoring Sunday.